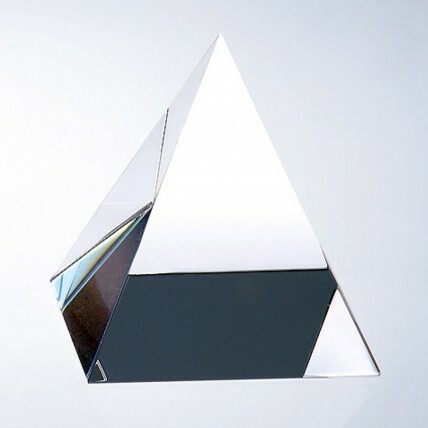 This Pyramid Etched Crystal Award is a great choice for the most elegant award ceremony. This crystal piece is etched on the bottom for a reflective look. Show your appreciation with the finest in corporate awards! Stands 5.5" tall. Now on SALE! Limited quantity available.